Which van body style is right for me? A casual glance at manufacturers’ model lists shows that vans come in plenty of different sizes, but they also come in a wide variety of shapes. Although there are a few that are versatile enough to be suitable for a wide range of tasks, some specific models are geared towards more precise tasks. The definition of a car-derived van is clear in the eyes of the law, and just taking the seats out of an estate car and claiming it is a van isn't enough. In order to be defined as a car-derived van, it has to be a vehicle that was originally designed to be a car, but has been properly adapted to be a commercial vehicle. It is not allowed to have rear side windows – instead it will have metal panels or fixed opaque glass windows in place of the rear doors and windows. It can’t have rear seats, seatbelts or mountings, either, and must also have a fixed ‘payload’ area with a floor in the back. It will often have a bulkhead between the loading area and the front seats to prevent goods flying into the cabin. This type of van is intended to only carry small loads, as the definition also says they are designed to only weigh a maximum of 2.0 tonnes (including load) when fully loaded. They are based on car designs, or can be built on a platform that has been designed and developed to be a car or a van. 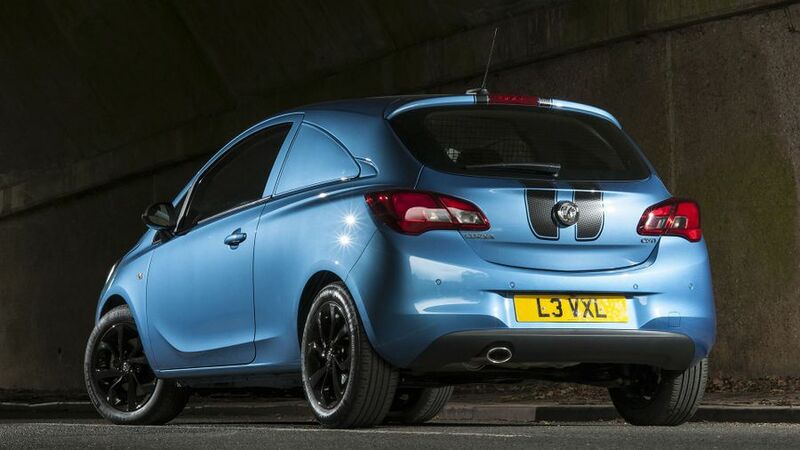 Examples include the Vauxhall Corsavan. Because they are essentially the same as a car, they are subject to the same speed limits as passenger vehicles – that is 30mph in built up areas, 60mph on single carriageways, 70mph on dual carriageways and 70mph on motorways. If you are confused as to whether a vehicle is a car-derived van, you can check on the weight plate, which is often on a sill or under the bonnet. If the total gross weight listed there is more than 2.0 tonnes, then it isn’t a car-derived van. If you still aren’t sure, then you can check the V5 logbook document, where it might list the vehicle as being a ‘CDV’. A panel van is the shape that most people would picture when asked to describe a van. Typically, it consists of a cabin with either two or three seats alongside one another, and a storage area that is accessed by doors on the rear, or often on the side. There are three generally accepted sizes of panel van, loosely described as small, medium and large. The small models tend to have a payload of between 600 to 900kg, while the internal load length starts around 1800mm. Examples include the Citroen Berlingo, Fiat Doblo, Peugeot Partner and Ford Transit Connect, and almost all are two-seaters. 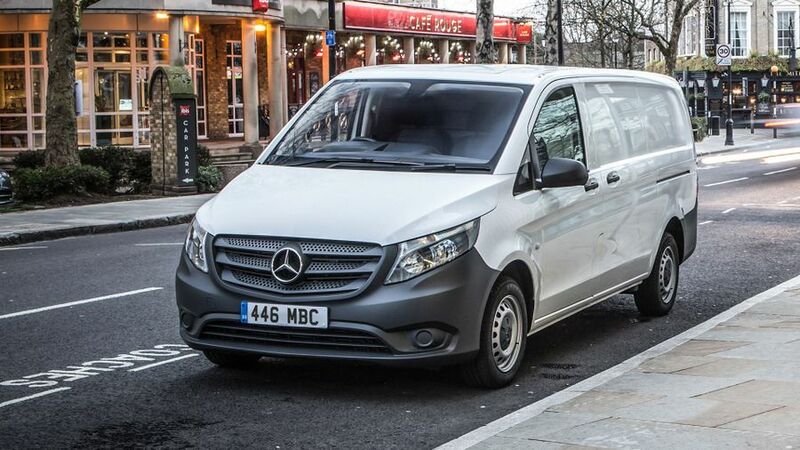 The medium sector is the point at which some vans have room for three seats across the front. However, it can be a bit cramped in the middle seat, so you’ll have drawn the short straw if you end up spending the working day stuck between your colleagues. Payloads range from around 900kg to 1,200kg, and internal load lengths tend to start around 2,200mm. 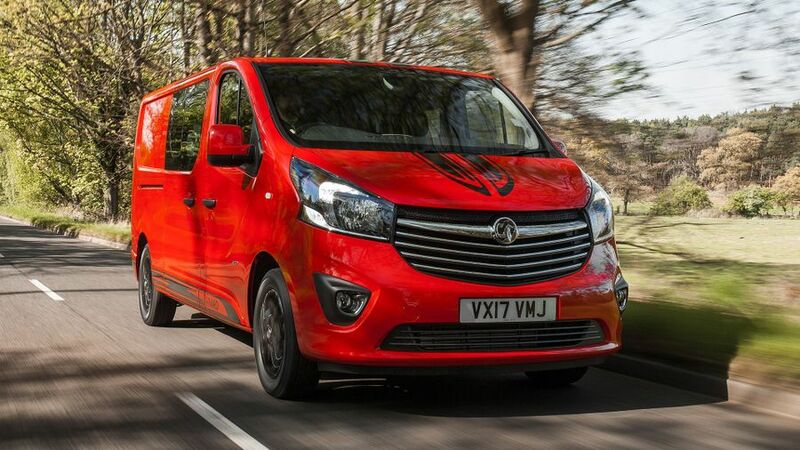 Vans in this sector include the Citroen Dispatch, Ford Transit Custom, Peugeot Expert and Vauxhall Vivaro. 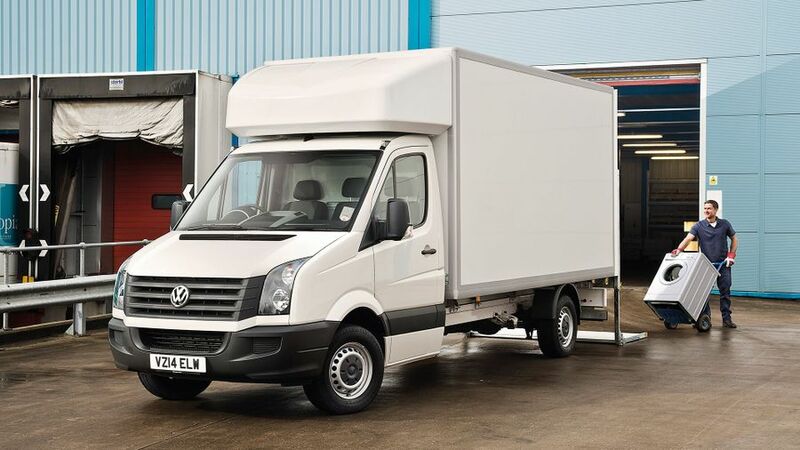 Large panel vans are the biggest light commercial vehicle that most people can drive on a standard driving licence, and tend to have payloads that range from around 1,100kg to 1,500kg or so. The important thing to note is the overall gross weight – it must be below 3,500kg for drivers to be legal. Examples of this sort of van include the likes of the Citroen Relay, Ford Transit, Mercedes Sprinter, Vauxhall Movano and Volkswagen Crafter. As with all panel vans, the lines between the sectors are blurred by the fact that each model often offers a variety of lengths and heights, so buyers are rarely going to find that their precise needs are not catered for. The Crew cab (or Combi) is the ultimate ‘best of both worlds’ option in the light commercial vehicle world. 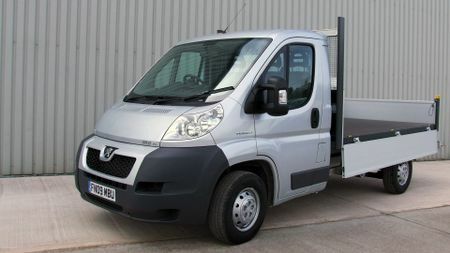 With the ability to carry up to seven people in two rows, and a decent loading bay, it is the best fit for those that need to get a team of workers to a site. Crew cabs can come in all sizes, ranging from small vans like the Citroen Berlingo up to the largest, like the Volkswagen Crafter. Slotting in a second row of seats has a notable impact on practicality, though – as well as losing a large amount of loading space, the extra weight of the seats and doors will bring the overall payload capacity down. For this reason, they tend to be well suited to those that don’t need to carry heavy tools, like gardeners or decorators. Many van makers offer a base vehicle, which consists of a cabin and a basic rear platform, onto which different bodies designed to do specific jobs can be attached. Sometimes these are attached by aftermarket companies, and sometimes the manufacturer provides them. Tippers and dropsides are both commonly seen bodies, and they look fundamentally the same. They are flat beds that don’t have any covering over them, and are more spacious and workmanlike in their appearance and function than the bed on a pickup truck. The names give a clue to what makes them unique. A dropside has hinged sides, so they can be flipped down to allow access to the loading bay and to let heavy tools or similar be slid on and off easily and quickly. However, the disadvantage is the lack of security this set-up brings. 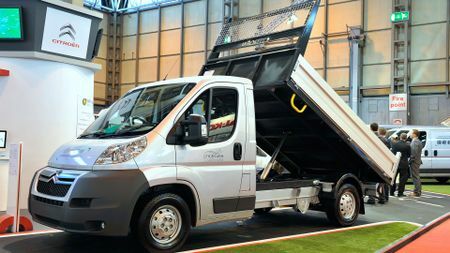 A tipper is also an open-top bay, and is better suited to carrying loads that need to be deposited quickly and without fuss. A hydraulic lift system raises the front end of the bed up to an angle of around 45 degrees, allowing the load to slide out of the rear with ease. The hydraulic systems can add weight, though, and that will impact on the overall carrying ability of the vehicle. 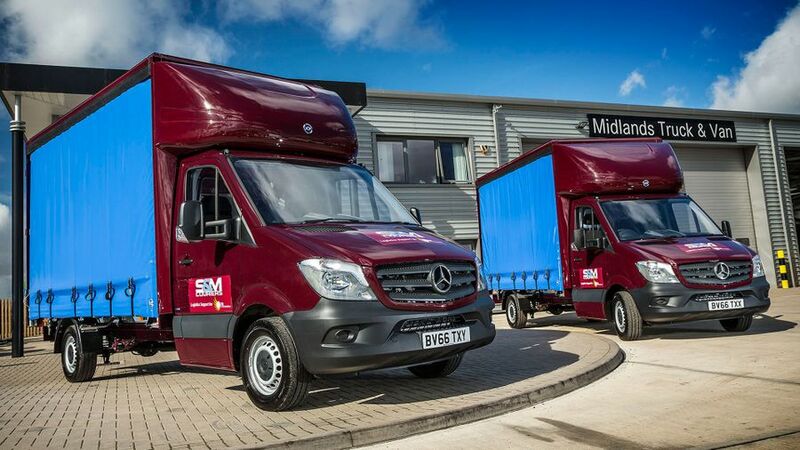 If you're ever in the position that you need to carry large, but light, loads that are too big for your average panel van, then this is where the Luton body could step in. Allegedly developed to carry large loads of hats, the Luton is a big box-like body that extends above and over the cabin, giving a vast amount of interior carrying space. Lutons are still subject to the same laws regarding gross vehicle weight and licences as standard vans, so can’t be used to carry huge, heavy loads, but are particularly popular with those that need to carry oddly shaped or very large items. They are popular with removal firms, for example, or delivery companies. To help with getting those bulky items in and out of the rear, Lutons are often fitted with a powered tail lift. The lower section of the rear ‘door’ folds flat and can be lowered all the way down to the ground, allowing a trolley to be wheeled on. A simple press of a button is all it takes to raise it back up level with the loading bay, so the trolley can be pushed into the van. The Curtain Side van offers many of the same benefits of a Luton – a larger loading bay than a panel van, often with a tail lift to aid loading and unloading. As the name suggests, the side of the van is covered by a canvas material, secured by several fastenings at the bottom. 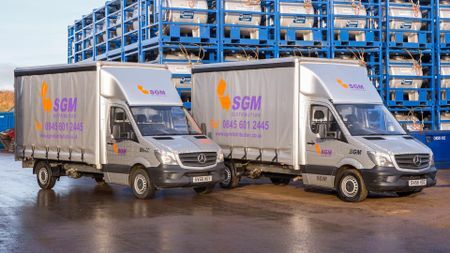 The disadvantages are clear – they offer less security than a standard panel or Luton body, as thieves could easily get access to the loading bay. However, that ease of access also makes the curtain side an appealing prospect. If you have many deliveries to do throughout a day, then being able to get access to the full length of the storage bay is very useful. Just make sure that the vehicle is clearly empty when it is left overnight, or that it is safely locked away and out of sight and reach.